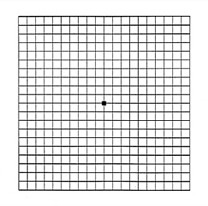 Take the Amsler Grid self-test to detect any early changes in your central vision. The grid should be printed portrait not landscape and should be placed in a visible location with good lighting. If you wear glasses, then glasses should be worn at the time of the test. VIEW and PRINT the Amsler Grid here. If you notice a change in your vision, schedule a consultation with your ophthalmologist. The Patient Portal allows our patients to request an appointment online. In order to access the Patient Portal you will need a security token. If you are a current patient and do not have a security token, please call our office in order to obtain one. Click on the link below to access the Patient Portal.